It’s pretty easy for many organizations to recognize the benefits of moving their content into DITA. However, once you’ve decided to make the move to DITA and selected a tool for authoring and content management, you’ve only gotten past the first hurdle. Now you have a DITA implementation to plan. A well-planned implementation can result in significant savings, in costs, resources, productivity, and stress! Join Paul Perrotta, The Technical Communication Wrangler, and his special guest, Stephani Clark, Head of Customer Success at Jorsek LLC, for this free, one-hour webinar. Stephani will outline the major aspects of a DITA implementation and what you should plan for when embarking on a DITA implementation. Stephani Clark is Head of Customer Success at Jorsek, the makers of easyDITA. She works to train and assist users of easyDITA’s software. Stephani is experienced in planning and overseeing DITA implementations and constantly works to identify ways to improve the customer experience. Before she worked for easyDITA, Stephani spent over ten years working in the energy efficiency industry. During that time, she worked in sales management, operations, and project management. Stephani also developed the company’s training program and served as their National Training Administrator. Stephani lives in Rochester, NY with her husband and three-year old son. Stephani enjoys spending time with her family, cooking, reading, traveling, and organizing anything and everything. It can be difficult to onboard users to new and complex interfaces and workflows. New research shows that images and video enhance understanding and retention of complex information and tasks and can even increase productivity, but software often changes quickly and requires regular updates and localization. How can we leverage the power of visual communication without having to constantly localize new visual content? Join Scott Abel, The Content Wrangler, and his special guest, Daniel Foster, Strategy Lead for TechSmith, for this free one-hour webinar. Daniel will show you how a Simplified User Interface helps you create powerful and useful images to help your users better understand your content, while extending its shelf life and often eliminating the need for localization. Release notes are a crucial part of customer communication for product companies. It seems too many organizations either do the bare minimum and hope no one notices, or simply accept an inefficient and expensive process. At Jorsek LLC, makers of easyDITA, they’ve been working on their release notes process for easyDITA and they have made some big improvements. Join Paul Perrotta, The Technical Communication Wrangler, and his special guest, Jarod Sickler, Customer Success Manager for Jorsek LLC, for this free, one-hour webinar. Jarod will take you through Jorsek’s process, tools, and results for the creation and production process for release notes. Jarod Sickler is a Ph.D. candidate at the University of Rochester and an Information Developer at Jorsek LLC, makers of easyDITA. Most of Jarod’s time is revolves around developing clear, precise, and concise content and arguments. Any remaining time, Jarod spends in the outdoors, with his family, climbing rocks and ice. We demystify structured content — explain what it is, why it's needed, and how it works. Personalized content is all around us. Google search results are personalized. Online shopping sites offer intelligent recommendations to up-sell the customer with products they might want. Banks, travel services, hotels, newspapers, streaming television networks, and social media feeds — everywhere you look, personalization is the way content is delivered today. So why is technical documentation still stuck in the Dark Ages, with manuals, chapters, and static text? Join Paul Perrotta, the Technical Communication Wrangler, and his special guests, Joe Gelb, Founder and President of Zoomin Software, and Lawrence Orin, Product Evangelist at Zoomin Software for this free, one-hour webinar from The Content Wrangler. During the webinar, Joe and Lawrence will explore how we can bring various personalization methodologies in use today into the technical documentation space to offer users recommended and personalized product content. They will also explain how some of the world's fastest growing brands leverage technical product content to improve customer experiences, and ultimately, increase customer satisfaction. All systems have weaknesses – places where a determined attacker has the potential to breach security and either disrupt your organization or steal your data. Defending your organization and its digital assets starts with understanding your vulnerabilities. Therefore, cybersecurity planning must begin with a solid understanding of the places where your systems, processes, and staff are vulnerable to attack. The single weakest part of any system is the people who use it. People are vulnerable to a wide range of exploits, including social engineering attacks such as phishing, which attempt to fool people into revealing passwords or other sensitive information, to insider threats, where employees take advantage of their position to breach security. Phishing remains the number one intrusion vector for threat actors. Cyberattacks can come from software, hardware, and people. Business professionals must defend against attacks from all of these sources. Although it may seem out of your control, you are not helpless against cyberattacks. There are things you can do to help protect your digital assets. Join Scott Abel, The Content Wrangler, for a discussion about cybersecurity with Toni Flores, editor of “The Language of Cybersecurity," M.K. Palmore, Senior Federal Law Enforcement Executive for the FBI, and cyberdefense specialist, Keyaan Williams of Cyber Leadership and Strategy Solutions, LLC. We’ll discuss the current state of cyber warfare and help you understand a variety of vulnerabilities, exploits, defenses and controls. More Americans know what podcasting is than who the vice president is, and 12 million Americans listened to their first podcast last year. Of people who are podcast listeners, 80% listen to all or most of each episode, and listen to an average of 7 episodes each week. Given that sort of engagement, it’s no wonder that businesses are starting to seriously explore podcasting as a new method to reach customers and other businesses. Join Scott Abel, The Content Wrangler, and his special guests, Ben Woelk, Program Manager at Rochester Institute of Technology, and Allie Proff, Technical Communicator at Technically Eclectic for this free one-hour webinar. Whether you engage in content marketing, capture general knowledge via audio, or are personally interested in podcasting, this session is for you. Attend the session to discover how Allie and Ben took their podcasts from concept to reality, and how you can do the same! 1) Why do a podcast? Ben Woelk, CISSP, CPTC is an Associate Fellow and the 2019-20 President of STC. Ben has been a technical communicator for more than 20 years and a leader at the local and Society level for more than 10 years. Ben was the recipient of the STC President's Award in 2017. Ben is the host of the Hope for the Introvert podcast and his passion is helping new and emerging introverted leaders discover and maximize their strengths. Allie Proff, CPTC, is passionate about technical writing because it combines both her loves of reading and writing with math and science. She has been communicating technical knowledge for over fifteen years, whether it be in the U.S. Navy, as a high school math teacher, or a technical communicator for other companies. Her aim is to help people do amazing things by connecting them with the content they need in a way they understand. Proving the success of your B2B products and services is the typical goal and focus of a case study. It’s been used for decades. But times have changed as B2B buyers self-educate and self-select. They anticipate case studies can help them get the information they need to make purchasing decisions. Join Scott Abel, The Content Wrangler, and his special guest, Deborah Monfette, Chief Content Writer and Strategist at Contenttriggers LLC, for this free one-hour webinar. In this webinar, Deborah will discuss four major things B2B buyers expect from companies in their search. You’ll learn 3 tips captured from 10 hands-on technology experts. These tips will help you give buyers what they expect and build more credibility, trust, and influence with your case studies even if you’re limited in what you can tell. Tip #1 — This key ingredient, often missing, can derail the credibility of your case study. Tip #2 — A critical strategy you must implement to build your buyer’s confidence and trust. Tip #3 — How to be the go-to resource and help buyers find relevant case studies. Deborah Monfette works with B2B technology companies to create engaging content that helps people see the possibilities for change and solve problems. She is the chief content writer, strategist, and founder at Contenttriggers LLC. Her experience spans over 20 years in high tech where she’s worked directly with customers in dozens of beta programs, conducted over 1000 sales and product demonstrations, and worked in support and training to solve problems and build customer loyalty. Her recipe for content success is a combination of her love for customer experience, creative thinking, storytelling, great design, and simplifying complex ideas. Companies need a global content operating model (GCOM) to address the growing complexities of the content supply chain in order to deliver multilingual digital experiences. In this session we will walk you through the GCOM and detail how you can optimize your source content to make it global-ready: easier, cheaper and faster to translate, with better translation results. We will also discuss the translation and content management technologies that help enable GCOM and why they are necessary, and the phases of GCOM maturity where we see these technologies appear. And finally, the role artificial intelligence (AI) is playing in helping augment these technologies. Content operations, ContentOps for short, has been around for a long time, though the average content professional would be hard-pressed to define it. ContentOps means having a system for content production, day in and day out, that allows us to deliver content at scale. Processes that include copy-and-paste have limited capacity, and it's time for organizations to change their processes that have lots of administrative overhead. It's time to replace outdated production methods with streamlined operational models. Join Scott Abel, The Content Wrangler, and his special guest, Rahel Anne Bailie, Chief Knowledge Officer at Scroll UK for this free, one-hour webinar. Come learn why ContentOps works nicely with DevOps, which helps software developers uses established processes to create and manage code efficiently, and DesignOps, which helps designers use established processes to create and manage aspects of design more efficiently. We'll talk about why organizations have been slow to adopt ContentOps, and how to move toward using content processes to be able to develop and manage great content efficiently and effectively. Rahel Anne Bailie is Chief Knowledge Officer at Scroll, an STC Fellow, an industry author, and a results-driven content strategist. She has a strong track record of developing successful digital content projects, tackling the complexities of managing content for clients globally. Her strength is diagnostics: calculating how to use content to deliver compelling experiences. Trends in technical communication can be hard to decipher, even when looking at data. But one underlying trend is that technology seems to be getting more specialized and complex. This trend toward specialization is driving up the value of technical knowledge, making it more prized than writing skills. At the same time, writers are often wearing multiple hats as they work on a variety of generalist writing tasks and a diversity of technical projects. The requirement to be both specialist and generalist makes tech comm a particularly challenging field to navigate. Join Scott Abel, The Content Wrangler, and his special guest, Tom Johnson, for this free one-hour webinar. Tom will talk about the growing complexity in the technology landscape that is ratcheting up the importance of technical knowledge in organizations, and overshadowing writing skills. Creating documentation is becoming more of a collaborative effort with engineers due to the increasing level of complexity and specialization in the technology landscape.Specialized knowledge about writing and language doesn't seem to have as much weight in the workplace as technical knowledge. Join Scott and Tom for a lively discussion about these recent trends in tech comm. Tom Johnson is a senior technical writer for Amazon in Sunnyvale, California, who is best known for his blog “I’d Rather Be Writing,” on technical communication topics. The blog has one of the largest followings of technical communicators online. Additionally, Tom has created an extensive web API documentation course that has helped hundreds of technical writers transition into API documentation. Lately, he has been working on a series of essays around information design (http://idratherbewriting.com/simplifying-complexity) for simplifying complexity. Tom has given more than 90 presentations over the past decade at various technical communication events. Structured content is an ideal starting place for creating and producing rich media in bulk. A new technology created by TXTOmedia transforms this native and localized written documentation into rich media, such as animation, live-action video, and interactive visuals in an automated, fast, and cost-effective way — enabling versioning and respecting existing workflow processes within large organizations. TXTOmedia supports XML and Structured Content in multiple languages which is then parsed by and transformed into rich media automatically. This allows you to take existing structured content and create video, slides, visual TOC, Hot Spot Images and Interactive Product Models. –Watch instead of read; visuals and video are preferred above text by most audiences. –Technical publications become more vital for sales. Wouter Maagdenberg started his career in 1996 with a specialized web agency for the media, music and sports industry in Amsterdam. He focussed on streaming media and continued to develop rich media software. In 2011 he sold his technology company to SDL. Today, Wouter focuses on the auto-creation of video and other rich media content. His company TXTOmedia delivers solutions to transform existing content into rich media such as animations and video for today's screens, AR and VR. Join Scott Abel, The Content Wrangler, in The State of Technical Communication 2019 webinar for a review of the troubles, trends, tools, and technologies impacting technical communication teams around the globe. Scott will share high-level results from our annual Technical Communication Industry Benchmarking Survey. Attendees will receive a complimentary summary of the survey results. Technical communications has progressed from monolithic paper and digital manuals, to structured, topic-based authoring, and more recently down to 'microcontent' to improve quality, ease of access and consistency of message. 'Nano-content' is the next logical step in that progression and lives at the 'coalface' between content and data. It is the bridge between structured data and structured topics which, when properly managed, can add several new dimensions to technical publications work. Universally faceted nano-content is a technique that takes a page from GPS applications that use triangulation (latitude, longitude, and elevation) to locate things in geographic space. Locating things in digital space should be just as intuitive and precise. Join Scott Abel, The Content Wrangler, for this webinar with his special guest, John O’Gorman, Principal and Chief Disambiguation Officer at Quantum Semantics. 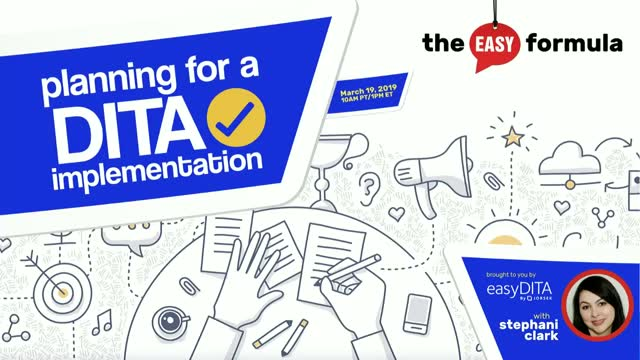 John will walk through the process of identifying, classifying and using terminology to connect the language of a business or application to the content that supports its use. He will demonstrate how the same process can be extended to the content itself and how, in combination, faceted terminology takes findability to a whole new level. John O'Gorman is a 30-year veteran of the information management trenches. He is the inventor of a universal classification protocol called Q6, and co-founder of Q6FSA, an enterprise information management collaboration with Robert Vane in the UK. His experiences run the gamut from terminology stores and data catalogs, to executive information reporting, data warehousing, activity-based costing and technical communications, localization and internationalization. His big 'aha' moment came when he realized that all of them are made of the same stuff and follow the same rules. Adding a vendor to your staffing model can be a strategic move if you need to reduce budget, deliver new content types, scale fast, or co-locate writers in new geographies. Join Scott Abel, The Content Wrangler, and his special guests, Jennifer Kaufman a Senior Content Services Manager at NetApp, and Debbie Roemer, a highly experienced content consultant, for this free, one-hour webinar. Jennifer and Debbie will talk about how to find the right vendor, plan for the engagement, and nurture the relationship. You'll learn how to plan for success when building a mixed team of vendor and staff content creators. The future of technical communication demands greater precision, knowledge, and discipline in how we create content across an omnichannel universe. It also requires better collaborative writing practices that will meet the need for faster delivery of information. The precision we require involves working with more granular content containing richer metadata. The topic becomes a container for these blocks of reusable content. Each block of content is written to evoke the intended reader response for that content. While these smaller blocks of content require more discipline, they are ultimately easier to write as they are more tightly focused on the need for that information. Join Scott Abel, The Content Wrangler, and his special guest, Rob Hanna, President at Precision Content Authoring Services, for this free one-hour session. Rob will look at some of the writing and analysis techniques they use at Precision Content to enable content for both the present and future—man and machine. –Information typing and how it relates to defining the intended reader response for that content. We instinctively know that unleashing our technical product content will make our customers happier and bring benefits to our company. But how can we quantify and measure that value in order to secure the resources needed to transform the digital experience and build a modern technical resource center? Join Scott Abel, The Content Wrangler, and intelligent content guru, Joe Gelb, President of Zoomin Software as they zoom in to the details and show you how to calculate ROI and build the business case to move up the content value chain towards dynamic content delivery and a cross-touchpoint digital experience. There’s often a disconnect between technical communication teams and others within their organization. This disconnect may be organizational, or may be due to the different tools used by each team. Often, this gap is bridged by PDF and many organizations have resigned themselves to the necessity of the emailed PDF review. Join Scott Abel, The Content Wrangler, and his special guest, Stephani Clark, Customer Success Manager for Jorsek LLC, the makers of easyDITA, to learn how you can get tech writers, engineers, and others to work together in a DITA environment and improve the efficiency of your content development process. During this presentation, attendees will learn about the problems inherent in collaboration, how unstructured and structured content differ, and what the typical barriers to content collaboration are. In 2018, life is faster. People can access information quickly. Attention spans are short. Multimedia content — videos, animations, infographics — can engage audiences, and make learning fun. Whether you are producing technical, creative, or eLearning content, outsourcing your multimedia content development can enable you to increase the quality and volume of content produced, beyond your local capacity. The bottom line is that if you want to produce — or produce more — videos and animations, learn how outsourcing can help you achieve your goals. Join Scott Abel, The Content Wrangler, and his special guests, Barry Saiff, Founder and CEO of Saiff Solutions, and Elrik Jundis, Business Development Manager for Saiff Solutions, for this free, one-hour webinar. –What specific activities are involved in multimedia outsourcing, and which are easiest to outsource? –What are the pros and cons of onshore vs. offshore, and freelancers vs. vendor? –How do I get started, and how can I scale up quickly? Content is a business asset worthy of being managed efficiently. The Content Wrangler Channel covers the people, methods, tools and technologies designed to help you deliver the right information, to the right people, at the right time, on the right device, in the right format and language. Your content is your most valuable business asset. Let us show you how to manage it efficiently and effectively.